Video showed him coming back on to the plane, bleeding profusely from the mouth, repeatedly saying, “Just kill me”. Had the United Airlines controversy occurred a few decades ago, it wouldn’t have even made a drop in the ocean. But in the year 2017, everyone is armed with a smart device, and any unusual incident can be instantly shared across the world by bystanders on social media through posts, pictures and even live video. The controversy involving the forceful expulsion of Dr David Dao from United Airlines quickly trended on Twitter, Facebook, YouTube and other platforms. Everyone was shocked to see how brutally the elderly doctor was dragged off the ‘overbooked’ flight by security personnel after he refused to ‘volunteer’ his seat. Initial footage showed him bleeding slightly with his shirt pulled up to his chest as he was taken off the plane like livestock struggling to avoid slaughter. Video that trended later showed him coming back on to the plane, bleeding profusely from the mouth, repeatedly saying, “Just kill me… just kill me… just kill me…” establishing that he wasn’t ready to comply at any cost. Eventually, after a few hours of delay, the plane flew without him, but not before Dr Dao had suffered concussions, a broken nose, and two broken front teeth, requiring serious reconstructive surgery. What exactly did Dr Dao do to deserve the sort of treatment you would perhaps see dealt out to a criminal or even a terrorist not complying with law enforcement? Well, his only offence was to stand up for his rights. Earlier, United Airlines had overbooked the flight by four seats, which it wanted to give to members of its crew so that they could conduct another flight later. Had the management realised this before boarding all the passengers, the whole ugliness could have been avoided. Instead, they seated everyone, boarded their luggage, and then made an announcement that they needed to vacate four seats. Initially, they offered a voucher of $400 and hotel arrangements, but no one took the deal. Then, they upped the sum to $800, but they still had no volunteers. Here, they should have continued improving the offer until someone accepted, or transported their crew by other means, but instead they used a computer to select four seats to vacate. Three of the passengers left with some resentment, but Dr Dao stood his ground, and he had every right to do so. Some have called into question the mental faculties of Dr Dao for resisting so stubbornly, but it’s perhaps because they’ve never been in a situation where they are helplessly facing injustice. 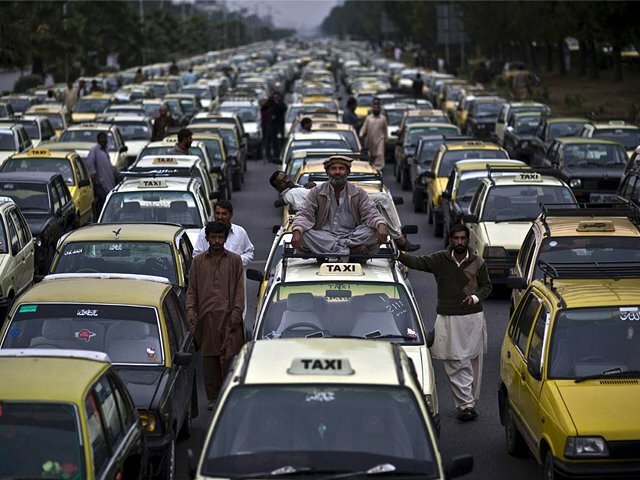 Here in Pakistan, many of us have faced unfair scenarios where our rights have been violated. This could be while driving on the road and suddenly having to dangerously make way for a VIP vehicle, finding our car needlessly stuck for hours in the parking lot behind the SUV of someone in the position of privilege, attending a local university and having to deal with incompetent faculty hired only because of their connections, or facing any other form of abuse from someone in a position of power at a government office. And this is what exactly the United Airlines incident was, an abuse of power. In this case, United Airlines could have resolved their mistake in a manner that inconvenienced them more, either by offering higher compensation or by using a more expensive method to transport their staff, but they didn’t because they didn’t have to. Similarly, whenever a person in Pakistan faces injustice from someone in a position of greater strength, it’s because the privileged party is able to get away with it. And when you are on the receiving end of wrongdoing against a more powerful entity, you either swallow your pride, cut your losses and give in, or you resist… your obstinacy only growing stronger with each blow you take. We can all look at what happened and point fingers, but let’s also consider that at the end of the day, there is justice for Dr Dao. 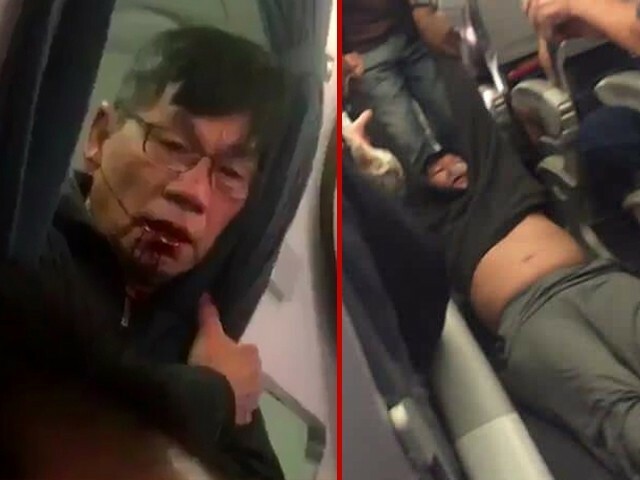 The stock of United Airlines has fallen, their brand has become a source of mockery and suffered serious harm, and Dr Dao will eventually earn a settlement worthy of his grievances. On the other hand, let’s look at Pakistan. Pakistan International Airlines (PIA) has apparently released a few ads boasting about how it would never treat its customers like United Airlines. So #PIA are great people to fly with after all. Well, they should cut the crap! From delaying planes for carrying parts, to employees who smuggle goods, to pilots who delay flights for sandwiches, to seating passengers on toilet seats or forcing them to travel standing, to people fainting because of broken air conditioners, PIA has done it all. But let’s look back at the PIA incident most closely resembling this one, where a passenger, Sara Zafar Malik was handed dangerous fungus-infested food and posted about it on her Facebook account. After her post gained traction (to her surprise), PIA contacted her to offer compensation. When she reasonably suggested being given free ticket, they used that to malign her on their official social media account, and conducted vicious character assassination. Was this any way for an airline to behave, attacking a passenger they had wronged? Well, it was in Pakistan. Sadly, there is no recourse for anyone in the country. If someone stronger than you wants to screw you over, then you don’t have a chance, unless you too can conjure up connections. As far as Dr Dao is concerned, he is to be commended for defying such unfairness, but let’s be honest, he also did so because he was in a country of laws and civil rights. Had a Pakistani faced something like this in Pakistan, nobody would know his name, and those who had crushed him would live to crush more another day. another anti Pakistan blog by a liberal. I MYSELF AM an AVID PIA flyer and it is one the best airlines ever! Only negative aspect is a buch of hate and jealousy filled people sitting in the plane just looking for an excuse to insult either the air hostess or pilot in one way or the other, something they WOULD NEVER EVER have the guts to do in an american airline because they’re really a bunch of pussies in the foreign land. what do you mean “had this incident” taken place? this just shows your mentality that you WANT back things to happen to PIA and you are just looking for reasons to bash the country and hate on the staff of PIA just so you could feel better. The fact that you asserted a NEED for such type of incidents to take place shows that PIA is a good airline that treats its customers nicely because is YET to have a barbaric incident like the one that took place on united airline. 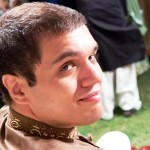 PIA or Pakistan should not be singled out. Had it happened in countries/airlines comparable to Pakistan/PIA, there would still be no justice. People in USA do not face attacks like Pakistan does. For their public, this is a major news. For an average Pakistani, such will not be a case and their focus will be Panama/attack. Think about it, do people in Pakistan need laws first to prevent this kind of abuse or to prevent deaths due to blasphemy? Took me 5 seconds. Someone took a picture off that website, remove copyrights (something PIA wouldn’t do) and made a funny fake ad. Now it’s posted on tribune and everyone will start believing it. This is why Pakistan needs other stronger laws before protecting a person from beaten up like in USA (which has yet to happen) such as misinformation. As a result, what little reputation PIA has is also lost.